We have a new method for adding images to your messages. We are working on a method where the images will be stored on our servers, but in the mean time this should work fine. We are currently recommending postimages.org for photo hosting. Postimage works much like photobucket did. You are not required to have an account, but if you create one, you can organize and manage your photos. Go to postimages.org - https://postimages.org. under "Post your images here", select "640x480 (for message boards)" or "320x240 (for websites and email)" and be sure "No expiration" is selected. 640x480 will have a scroll bar but has better detail. The images below are 320x240. Click on "Choose images" and select the image on your device. 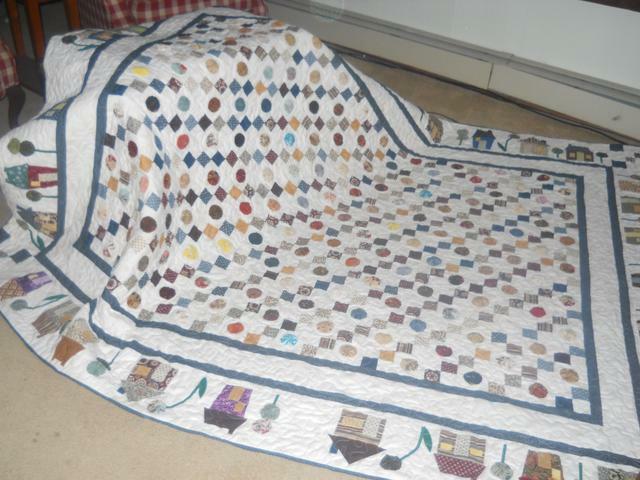 Return to the Quilt in a Day web site when you have copied the URL. Click on the "Insert Image Code" button. A popup will open and you can paste the code in the box (ctrl-v, cmd-v or edit paste). Click OK and the image will be added to the end of your message. You can cut and paste the link around if needed. Just be sure to include the img tags. The How to link above the message area has been updated with this information. Reply to this topic for more clarification. This post has been edited. After I have uploaded my image and gone back to QIAD Where is the insert image code button at? I'm not seeing a pop up box to insert code. This is our youngest grandson. He had a stroke prior to birth and has many health issues. He has a feeding tube and doesn't talk yet. But, he's our little trooper. Gives new meaning to never give up! 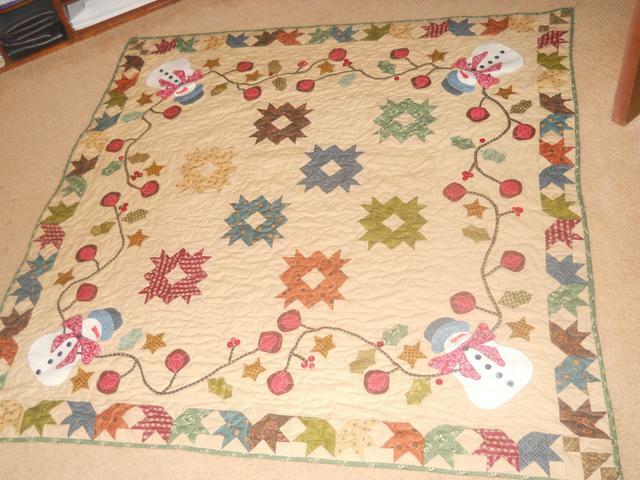 Ok lets see if I was able to do this this is my snowman quilt I will try and get a picture of the chubby binding,,,,OMG this took me a long time to master,,,It is a Kim Deihl pattern from her book Simple seasons. I made this for my daughter for Christmas. I was inspired to include the Dresden Plate after I'd completed the Fun on the Farm sunflower block. I made this for my cousin's oldest when she found out she was getting a new sister and was going to have to move into a 'big girl bed'. 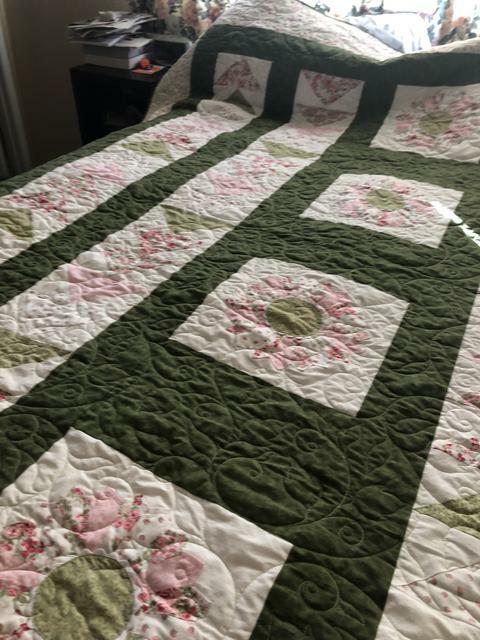 I always use Eleanor's method to make my log cabin quilts. Please be sure posts are category appropriate. Postings may be deleted at the discretion of moderators. When a post is removed, a message will be sent to the posting member to explain why the post was removed. Be respectful of other members. No name calling or personal attacks. Any hateful, unpleasant or improper usage of the forum will result in termination of privileges. Honor your swap commitments. Contact your Swap hostess immediately if a problem arises that prohibits you from meeting your commitments on time. 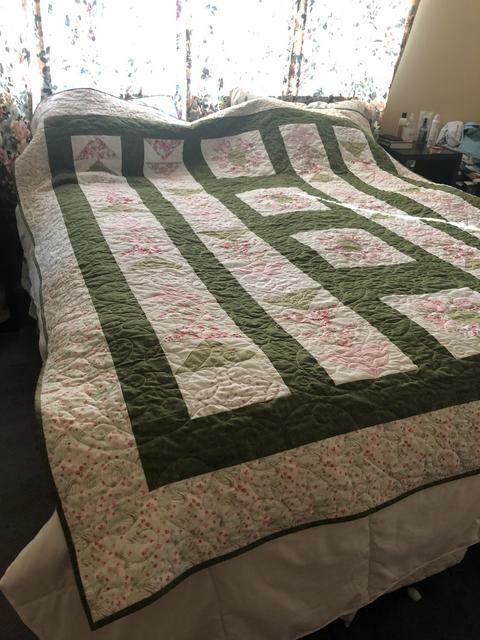 Quilt in a Day is not responsible for any Swaps, Exchanges, Secret Pal, Round Robins, or any other form of exchange between members. This includes monetary contributions and property. Send money and/or property at your own risk. Quilt in a Day will not intervene in any problems with any form of Forum Member exchanges in any manner. Hostesses it is your responsibility to communicate with members. Please adhere to the deadlines you establish. If a project is going to be delayed for any reason, please post that information and give the new completion date. For your safety, try not to include personal information such as Home Addresses and Phone Numbers. These messages may be removed by Quilt in a Day to protect your privacy.